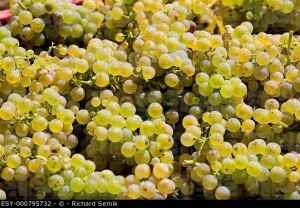 Today, I am going to talk about Riesling from the Czech Republic. Because Bulgaria does not like a country we Belgians want to know a lot about. But ok, I’l get there. So the Czech Republic, never been myself, but it looks like a nice place. Riesling here calls: Ryzlink Rynsky -> as in Rhine Riesling. Here grows 1127 ha of Riesling and it almost all grows in Moravia. There are else very good wineries in Veké Zernoseky who make fantastic Riesling. Most of all vines grow in Moravia, 95% of all vines planted in the Czech Republic grow in Moravia! Here is Moravia there rules a cool continental climate with occasional maritime influences carried in with the winds from the Atlantic. The climate is similar to the Neha or Pfalz in Germany. It’s relatively dry here and there are more as 2000 hours of sunshine each year! So we have the perfect climate for Riesling to grow well and ripen fully into the long Indian summers. The soils here are mostly made out of Loess and sweet water sediment. There are also sub regions within Moravia, which have a limestone soil, gravel and clay. This is a soils with a lot of loess in it! So room for a lot of different Riesling styles here! Riesling here has, overall peach character with a spicy note, linden bloom and honey notes. And see you the next RIESsearchING! RIESsearchING @ Timo Dienhart Roemerkelter! RIESsearchING and not so RIESsearchING @ Prowein2018! Aurelie.Charels on Riesling in Russia! คลิปหลุด on Riesling in Russia! น้องแนท on Riesling in Russia!